Showing recent results 136 - 150 of 372 products found. The NFA-series requires minimal settings and compacted "silently" Hundreds of thousands of information per second, so you can capture the decisive parameters of electromagnetic measurement even while carrying out the measurement at a glance. 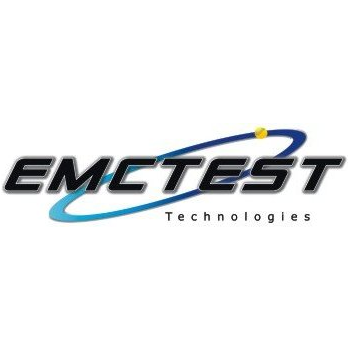 EMCTEST Tecnologia Eletronica e Telecomunicaçao Ltda. 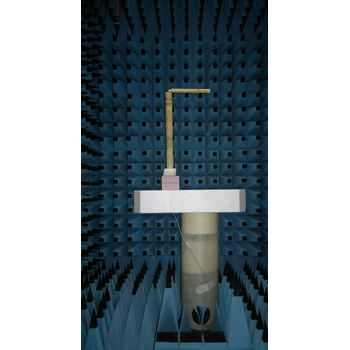 The electromagnetic field in any test chamber is a combination of the direct signal and the reflected signals from the walls of the chamber. These reflected signals cause errors in all measurements and are typically the largest contributor of uncertainty in the measurement. UWB refers to a high power electromagnetic (HPEM) threat for electronic and computer systems. Standardisation bodies such as IEC Study Group 77c are working on threat classification and test procedure definitions. Various machine operating conditions concerning temperature extremes, magnetic fields, vibration range, frequency range, electromagnetic compatibility (EMC) and electrostatic discharge (ESD) conditions and the required signal quality necessitate the need for a variety of sensors. 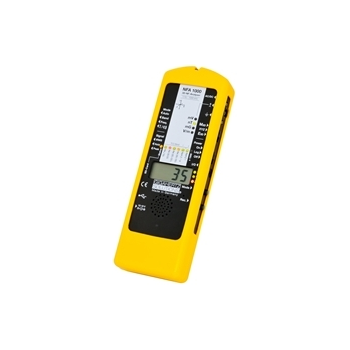 The EMFields Pro measures Electromagnetic Fields (EMFs) produced near powerlines, substations and transformers, building wiring & electrical appliances. 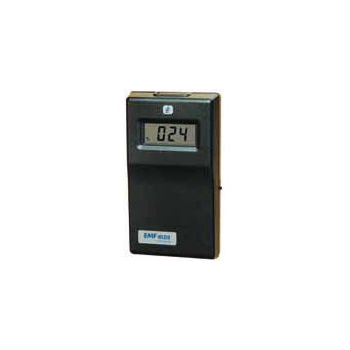 It provides digital precision with a wide measurement range, and includes a sounder for an audible indication of field intensity/- strength. 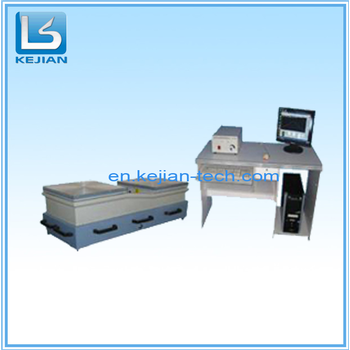 Electromagnetic type vibration tester is used widly in national defense,aerospace, communication,electron,car,household appliances industry.This tester is used to find early stage stoppage, simulate actual working condition and structure strength testing. The transmitter injects an A.F. signal into the cable which generates an electromagnetic field around it. This field is concentric to the cable & is present over the entire length. The presence of this field (in turn the cable) is detected by a highly selective and sensitive receiver with a search coil. An EMI site survey is an independent assessment of the potential Electromagnetic Interference (EMI) risks that might interfere with an implantable electrical device such as a pacemaker or defibrillator. The assessment should be completed by a qualified and accredited independent test lab such as Keystone Compliance and in collaboration with the employer, manufacturer of the device, patient and physician. 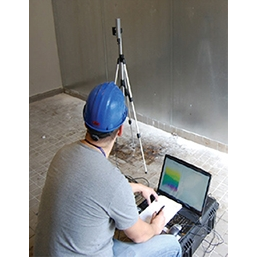 A site survey is conducted by taking various electromagnetic measurements throughout the facility. Keystone Compliance uses a broad range of industry-accepted standards and specifications to determine which electromagnetic fields exist. Following completion of the on-site survey, Keystone Compliance provides the customers with a detailed site survey report that will help identify EMI sources and zones with the potential to interact with an implantable electrical device. This information should then be shared with the physician and employer to develop an action plan to reduce potential negative effects to the patient’s health. Electromagnetic fields cause interference in electronic devices and may affect the health of people close to where the fields are generated. It is important to recognize this at an early stage in a construction process, for instance at a future construction location or while construction is already underway, so that budgets are not exceeded. By means of field-strength measurements one can chart the existing electromagnetic fields and radiation emitted by GSM, UMTS antennas and transformer spaces, to mention a few examples. These measurements can help determine the best location in the new building for rooms where sensitive measurements are to take place, e.g. in hospitals or nano laboratories. 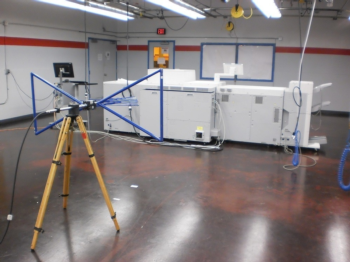 And last but not least, field-strength measurements can detect sources of interference and can be part of a scheduled check of existing screened spaces and Faraday cages. 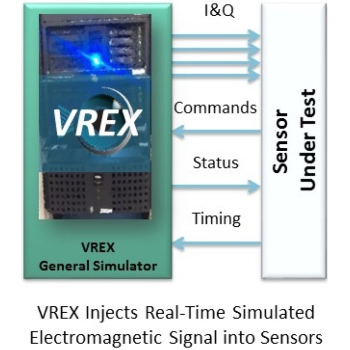 VREX - FishEye Software, Inc.
Electromagnetic sensors include a “front-end” that generates and receives the electromagnetic waves through a subsystem known as a Receiver/EXciter (REX). 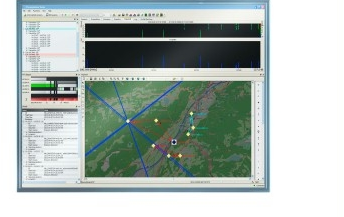 They also include a “back-end” that performs signal and data processing, typically implemented in software. These separate subsystems must be designed and developed separately, then integrated together. The development of the overall sensor is slowed and complicated by the problems that show up for the first time at integration testing. This is due in large part to the interdependencies of these subsystems that cannot be effectively tested during development. Later, software patches, configuration upgrades, waveform changes, and technology refresh become substantially more expensive because they can only be verified by traveling to the operational site to connect with the actual front-end hardware. 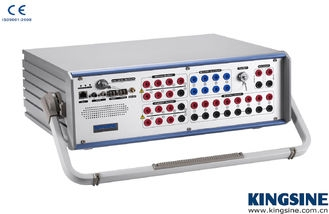 K3163i - KINGSINE Electric Automation Co., Ltd.
◆ Digital signal complying IEC61850-9-1 / IEC61850-9-2 protocols.◆ Synchronize with GPS,IRIG-B.◆ Suitable testing for all kinds of electromagnetic relays,microcomputer relays. 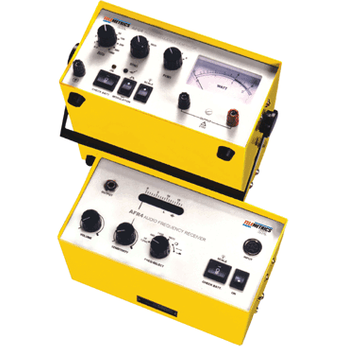 Power Meter is used for determining the power of the electrical current coming to the input channels of ADC modules and FFT spectrum analyzers, or that of the electromagnetic signal. 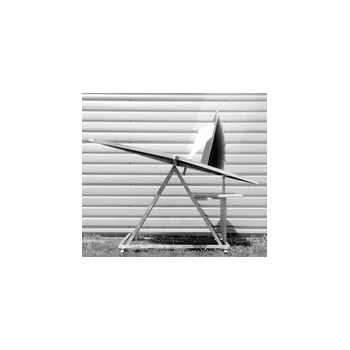 8831 - Rycom Instruments, Inc. 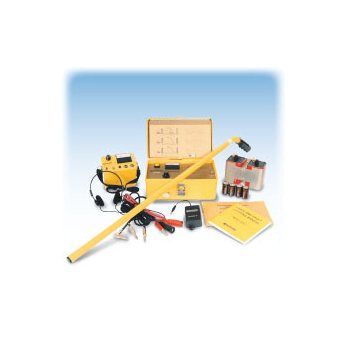 The 8831 cable, pipe, and fault locator is a rugged active and passive locator designed to last through years of tough field use. Low frequency electromagnetic fields generated by the 8831 are virtually confined to their conductor, greatly reducing the risk of interference and ghosting in crowded areas.